PALM BEACH, Fla. – March 1, 2017 – Barrett-Jackson, The World’s Greatest Collector Car Auctions®, will celebrate its 15th Anniversary Palm Beach Auction April 6-8, 2017, at the South Florida Fairgrounds with an incredible docket of collector vehicles and events designed to immerse the public in the hobby. The three-day event will include a variety of automotive and lifestyle activities, including Ford and Chevrolet Ride ’N Drives, Dodge Thrill Rides and complimentary “Behind the Hobby” Collector Car Symposiums. Early consignments include a collection of six 2015 and 2016 Z06 Corvettes from the Chevrolet Collection, a 1968 Shelby GT500KR (preview) owned by actor Lee Marvin and a rare 1961 Volkswagen 23-Window Deluxe Microbus (preview). Included on the Palm Beach Auction docket are two 2015 and four 2016 Z06 Corvettes from the Chevrolet Collection. Each of these low-mileage and low-VIN Z06 Corvettes were used exclusively by Chevrolet as marketing and promotion vehicles across the United States. 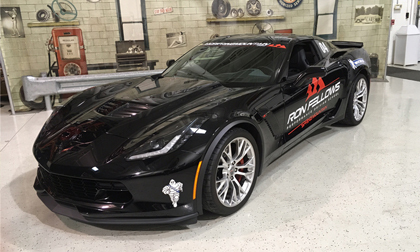 Among the Corvettes featured in the collection is a black 2015 Z06 Corvette (preview) that has been displayed at Barrett-Jackson, Woodward Dream Cruise and Corvettes at Carlisle, and a burgundy 2016 Z06 (preview) once displayed at the 2015 and 2016 Bloomington Gold events. A 1968 Shelby GT500KR (preview) once owned by actor Lee Marvinis one of the original 518 convertibles and one of 231 produced in Acapulco Blue that was delivered in May 1968. It is equipped with a C6 Select automatic transmission, power steering, power brakes and air conditioning. This pristine Shelby has 46,000 original miles, with 1,500 miles since it was rebuilt, and features Carroll Shelby’s autograph and a personal message to Marvin. Also crossing the Palm Beach auction block is arare1961 Volkswagen 23-Window Deluxe Microbus (preview). Powered by a 1.2-liter 4-cylinder engine and 4-speed manual transmission, it is finished in Sealing Wax Red and Beige Gray with the original safari windshields,as well as a correct mohair headliner and spoon latches. Beautifully restored in every detail, it is also equipped with a European locking steering column, rare accessory full-circle horn ring and button, dealer accessory sapphire push-button radio and correct, Firestone wide whitewall bias-ply tires and wheel trim rings. Finished in Guards Red with black full leather interior, a 1996 Porsche 911 Turbo (preview) will be a crowd favorite in Palm Beach. It features a 3.6-liter 6-cylinder engine with 6-speed manual transmission and includes all books and records. It was recently displayed in the Porsche Cars North America museum. The 15th Annual Barrett-Jackson Palm Beach Auction will be broadcast on Discovery, Velocity, Velocity Canada and Discovery Turbo UK during the three-day auction. For specific television schedules, please click here.